Benefit fraud is high on the political agenda but a significant amount of it is committed by a recipient not informing the correct authorities when their circumstances change. 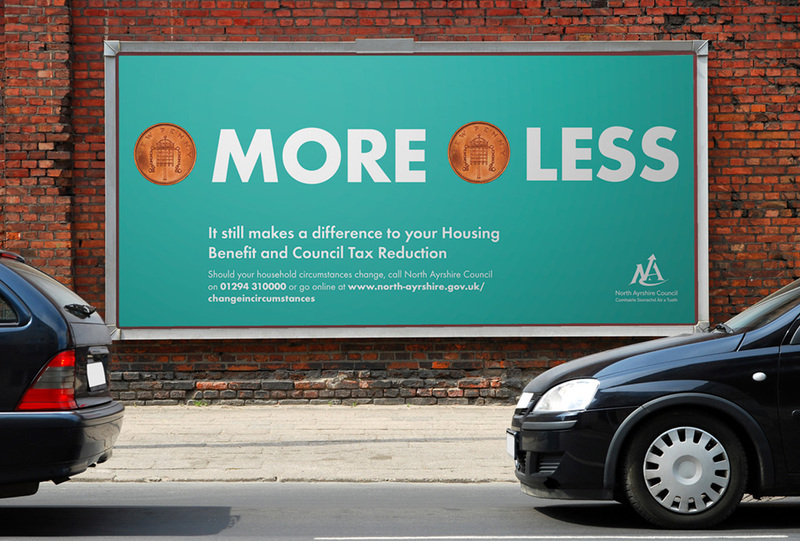 North Ayrshire Council commissioned us to create an awareness campaign for the local community to remind them that it is their responsibility to inform the Council if their financial circumstances change. Our creative approach to the campaign was to simplify the message. 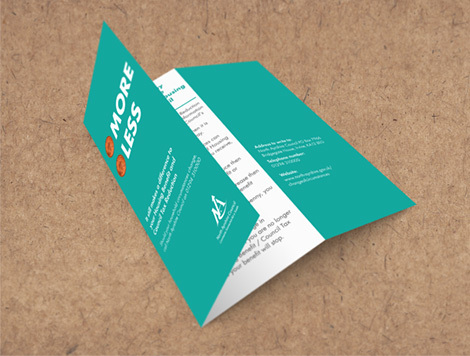 We wanted a creative proposition that was easily understood and simple to communicate. 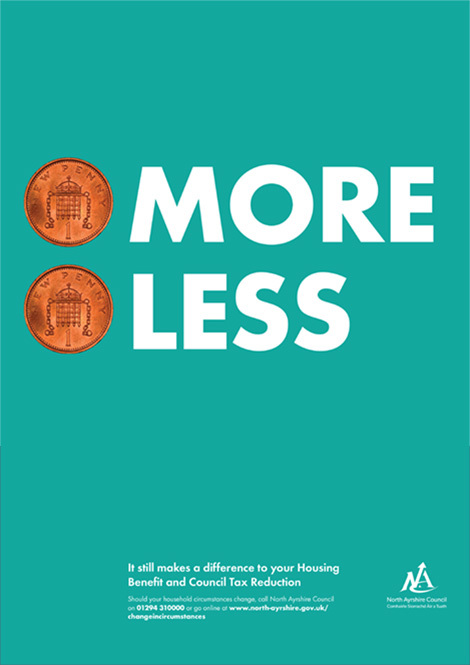 Our starting point was the creation of the campaign message – 1p More, 1p Less. It still affects your benefits. This simple message was driven home by a bold and impactful creative treatment that was designed to grab attention. Once the creative proposition was in place we worked with the council to roll this out across a range of outdoor channels and printed marketing collateral. 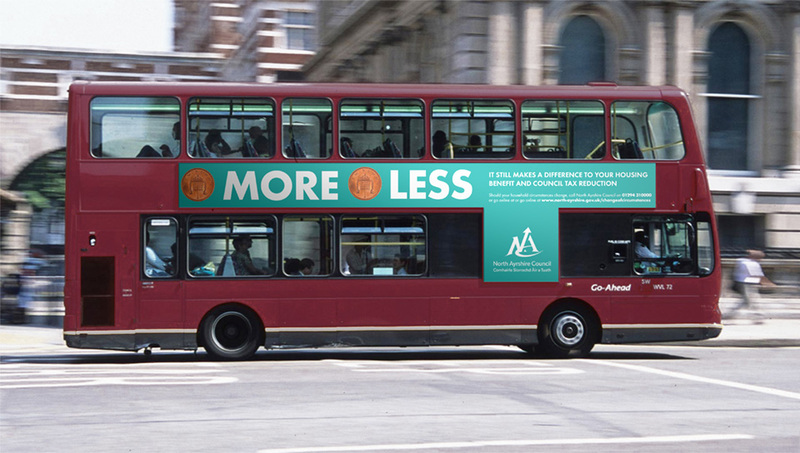 This included bus sides, 48 sheet and 96 sheet billboards, an information leaflet and a poster campaign.